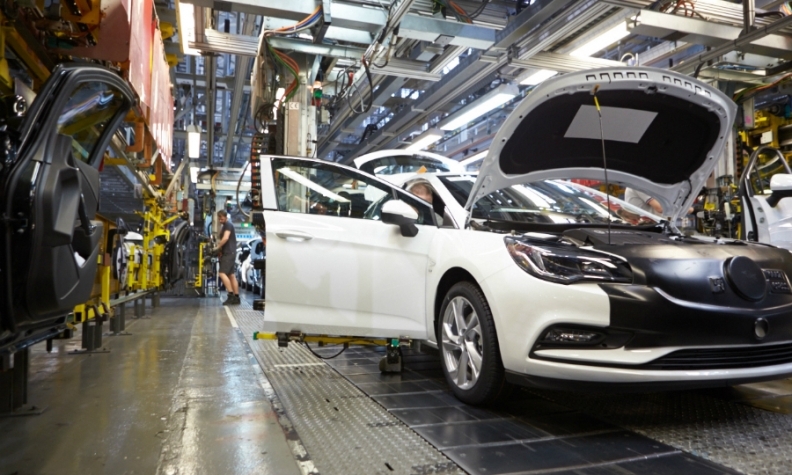 PSA builds Astra cars at Ellesmere Port. LONDON -- PSA Group's Vauxhall brand would lose sales if the automaker closes its Ellesmere Port factory in England, a union chief warned. PSA said it would cut a further 250 jobs at the plant after announcing 400 layoffs last year, reducing the factory to a single shift and renewing workers' fears about the site's future. PSA has not said the factory, which builds Astra cars, is in line for closure. Any plans to close the plant will cost PSA sales in Opel-Vauxhall's second-largest market, Unite, Britain's biggest trade union warned. Unite boss Len McCluskey said on Twitter he would meet PSA CEO Carlos Tavares in the next two weeks. "I will make it crystal clear that if there is any attempt to close the plant, we will make sure their market in the UK is finished for good," he said. Vauxhall's passenger-car sales fell 22 percent to 195,137 last year, according to data from industry association SMMT. In Germany, Opel's sales were flat at 243,715, according to registration figures from the KBA transport authority. PSA bought General Motors' money-losing European arm, which operates as Opel on the continent and Vauxhall in Britain, last year and has been pursuing a restructuring plan to return it to profitability. PSA is due to decide as soon as this year whether to build new cars at the Ellesmere Port site in the latest test of Britain's ability to attract investment as it leaves the European Union. The company is cutting hours for workers at Opel in Germany. It also plans to eliminate 1,300 French jobs in 2018 using a new form of voluntary cuts introduced by President Emmanuel Macron, an official for the CFTC union said on Tuesday.